Being rejected from medical school is not some badge of honor to be displayed proudly. Instead, when you find out your lifelong goal has been derailed you tend to cower and hide from friends and family. If you're like most premed students you do not have a concrete backup plan if you do not get into medical school. 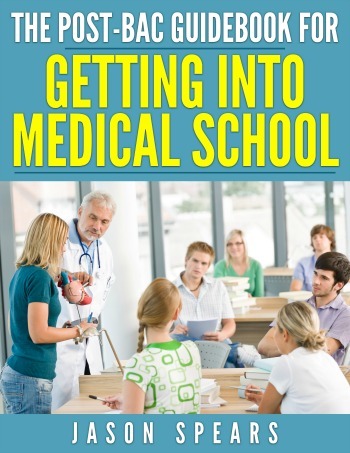 Not everyone has a direct path to medical school, including me. I'm about to share about my rejection from medical school. This is actually my Facebook Note I shared online so that my family and friends would understand what had happened. Come to think of things, this note was written before my website existed. Yup, you're about to get a glimpse into the thinking and reality of Jason, at one of the lowest points in his life. Okay, enough talking about me here's my story of being rejected from medical school in unedited form. I once had a dream, a goal, a vision of becoming a physician but it slipped away. I had completed my premed requirements, scored well on the MCAT and submitted my AMCAS to a plethora of medical schools for matriculation in 2008. I had lofty dreams of obtaining the MD and then entering a surgical residency. Well, my journey would not be as planned. 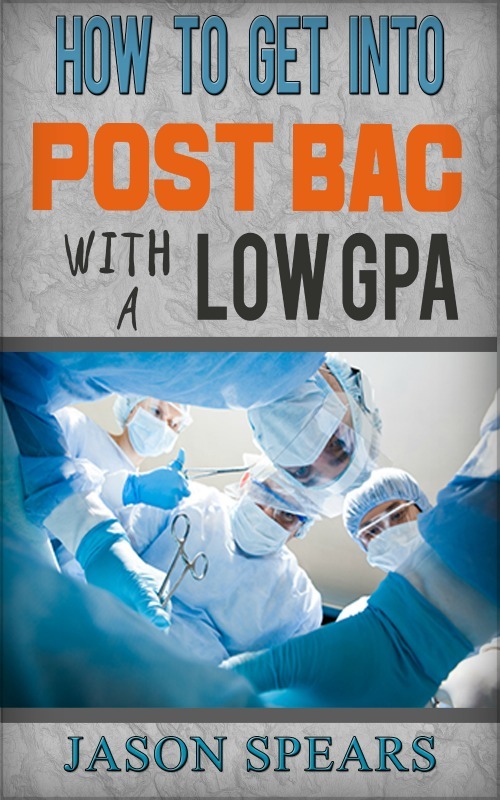 Midway through the application cycle, I became gravely concerned because I was not receiving invitations to interview at medical schools, so I did what any prudent individual does. I began to add more lower-tier medical schools, thinking perhaps there were one too many Ivy League institutions. Ultimately, I would be batting a 0.00% on interviews for medical school. Totally, unheard of with my credentials so I began to resort to plan B. Plan B was to enroll in post-bac programs to get more science under my belt, since I was a political science major. Did one of my AYS (Are You Surrious) responses, when even some of the post-bac programs denied me admittance. I'm like my numbers totally beat the average class profile. And besides Harvard Medical School was recruiting me based on my MCAT scores. Ultimately, I'd find out what went wrong. the American Medical College Application Service (AMCAS) is the centralized application service for applying to medical school. One of the post-bac programs, alerted me to a problem in my AMCAS application. They essentially, told me you don't have all the necessary requirements for medical school. My response, was I think you might be mistaken because I have a copy of my application and had it reviewed by several medical school admission officers and premed advisors before submitting it to AMCAS (I cover my bases). So I went ahead and forwarded this particular institution my official AMCAS applicant copy for their review. They said it doesn't look correct and we had several people review it and you might want to contact AMCAS directly. Therefore, last week I contacted AMCAS explaining my situation and how there may be something incorrect. The initial person was not able to resolve my issue and stated it would have to be passed along to their superior and they would work to give me a response within 72 hours. "Your 2008 application was verified incorrectly. AMCAS made an error by giving you zero semester hours for your Harvard courses." school: Biology and Organic Chemistry. Therefore, my applicant copy listed the above mentioned courses correctly by showing the course name, official grade, and semester hours BUT what was sent to each and every medical school and post-bac program had the WRONG information. They only had half of my minimum requirements for medical school and I was automatically screened out. So therefore, no matter what I would've done or how many institutions applied to or more coursework would never compensate for the error made by AMCAS. Additionally, I was almost prepared to walk away from medicine and take on another career path, believing I'd done everything possible to get admitted to medical school(even a very low-ranked medical school had said no). Well, as of today it is too late to apply to medical school for matriculation in 2009. Looking into how to remedy the error committed by AMCAS. Its been a quite the journey and now I can say my confidence has been restored where I know the problem did not lie in my academic credentials or my personal statement, and therefore I have to accept what has happened. I can't change the past, I only have NOW and the FUTURE. So there you have it, why I almost walked away from medicine. But, I believe in the notion of resilience, optimism and holding steadfast to one's aspirations, beliefs, and pursuits so with a little bit more time, patience, and work I shall get where I need to be. I received a great many comments and words of encouragement after posting this story. Ranging from my lawyer friends saying this looks like a clear lawsuit, to others stating "it's always darkest before dawn". My friends in medical school at the time said to "DO NOT EVER GIVE UP THE DREAM"! I want you to know that it was tough, life was rough and I had no clue what I would do or why this had to happen to me but it did and I had to face the reality of my situation. It would take me some time but I would get back up and recover from being rejected from medical school. I played football all the way through high school and my coach was old school but he had a saying that made complete sense, "It doesn't matter if you fall, but if you do fall, fall forward and get back up". I think he said that because he wanted the running backs to fall forward and pick up an additional yard or two. But on a more serious note, life is going to knock you down at some point, this is just how the world works. What is important is acknowledging the setback and coming back even stronger than before. I remember a conversation I had with my Aunt in regards to my medical school rejection and she sent me a very poignant email where one line forever stands out in my memory, "A dream deferred but not denied".